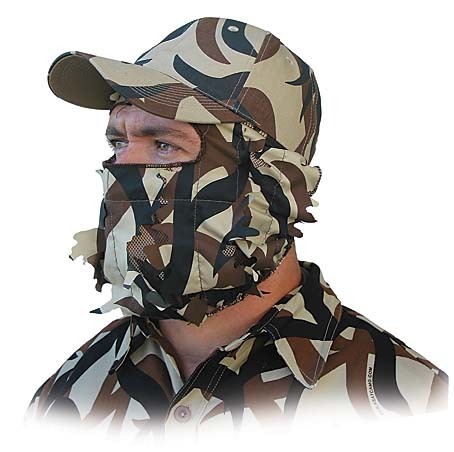 After wearing his ASAT leafy 3D, a Hunter in Minnesota (Fall, 2015) explains the advantage, "I just wanted to say thanks for the information on your site. I don't hunt elk but your information is what made me decide to try the ASAT leafy suit. Last night while hunting I rattled in four deer while stalking. I had these deer within 10 yards of me for 15 minutes and the doe was within 4 paces of me for about a minute and a half. There were no shooters in the bunch but to have those deer that close for that long was quite the experience. I have taken 3 deer while using this ASAT leafy 3D suit. If it had not been for your informative site I would never had purchased this suit. Every time in the woods hunting turkey, white tail even ducks and geese I go undetected when wearing this. Single best camo purchase I have ever made." No UV Brighteners in ASAT leafy 3D! For shipping costs outside the US, please email us with your address and items you want to order. Or, feel free to call us: 406-431-0876. Click here for ASAT Sizing Chart (PDF). 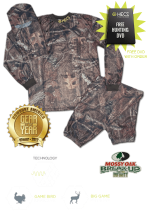 An ingenious camouflage over-system, the ASAT® Vanish-Pro™ 3-D Suit is designed to fit over scent control garments, rain gear or bulky insulated clothing. The polyester fabric is leaf cut and chain stitched to the mesh - the mesh inner layer is also printed in ASAT® camouflage - for added concealment and disguise. ASAT Leafy 3D pants sport an elastic waist, side slash access and 22" lower leg zippers to go on easily over boots. The collarless, full zip top has elastic cuffs. The VisorPro™ Head Net has cable lock adjustment in back to maximize your field of view. 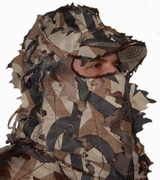 The ASAT Leafy 3D Suit includes top, pants and head net and is generously sized. This is the same head net included in the ASAT® Vanish-Pro™ Leafy 3-D suit. 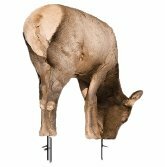 It has a cable-lock rear drawstring and can be purchased separately here. Has a built in sweat band, secured by 2 elastic bands in back for easy adjustment; pulls down to neck when you don't need it.